Join AMF for a day of bowling at the AMF Kids Fest. 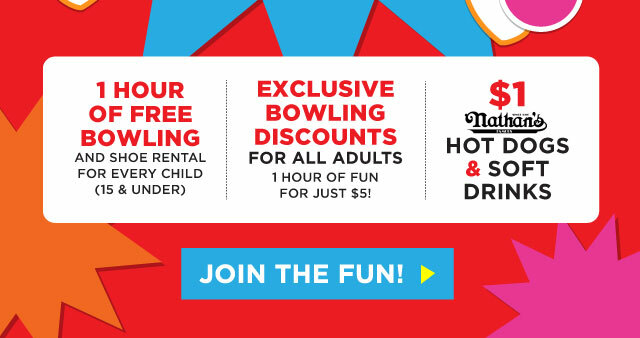 Kids can enjoy 1 hour of FREE bowling(rental shoes included) for kids 15 & under. Don’t worry adults there is a discount for you. Adults can bowl 1 hour for only $5. And if you are hungry they have $1 hot dog and soft drink specials for everyone! 885 Flat Shoals Rd., S.e.